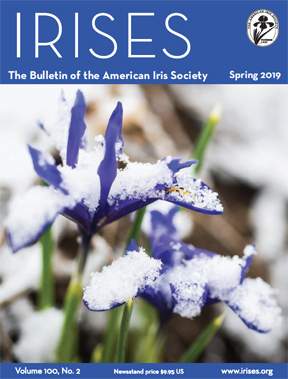 The Spring 2019 issue of the AIS Bulletin is now available for online viewing within the Emembers section of the AIS Website. Previous AIS Bulletin issues are also available for viewing in this area. Note: to access this area you must have a current AIS Emembership. 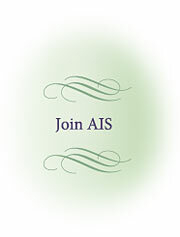 AIS Emembership is separate from the normal AIS membership. Please see the Electronic Membership Information area of the website for more details. AIS Bookmarks – Nine different iris images printed on glossy card stock (1 ½” x 7”). Available in packets of 45 (5 each of 9 images). FREE including FREE S&H. Great for handouts for AIS Membership promotion. Send your order for packet(s) to the AIS Storefront, PO Box 956, Sandy, OR 97009 or call the AIS Storefront at 503-826-8808. The 2020 AIS Calendar is now available. The 2019 Convention Committee has set up a website for the 2019 American Iris Society convention. The 2019 AIS convention will be held April 23 - 27, 2019. Our convention will feature hundreds of bearded iris as well as beardless iris. For those of you who are hungry to see bearded iris after two years of no bearded iris at the AIS convention, our convention will satisfy those hunger pangs! Registration is now open! Please see our registration page for more information. The 2018 awards for iris cultivars has been announced and can be found here. Date of the meeting: Wednesday, Feb 27th, 2019. Time of the meeting: 8pm Eastern, 7pm Central, 6pm Mountain, 5pm Pacific. Learn more about the Zoom webconferencing system by clicking here. There will be an agenda posted on AISDiscuss for the meeting. Everyone is welcome to call in for this meeting and participate in the discussion. You do not have to be a member of the board to participate. Only AIS Board members may vote on motions during the meeting, however. Information about this phone board conference will also be posted in the news area of the AIS website within a couple days. Check it out and give it a try. The Tall Bearded Symposium results have been released. To see the list of the Top 100 most popular tall bearded irises, click here. AIS Bulletin Index: (December 2012) The AIS Bulletin Index has been recently updated to include up to AIS Bulletin issue 366 inclusive. To get a copy of this handy reference item please go to the following webpage: About the AIS Bulletin or use the sidebar navigation at any time. AIS Donations: (December 2012) If you are thinking of making a donation to the AIS please visit the AIS Donations webpage for an easy explanation on how to proceed. Donations to AIS are tax deductible to the extent allowable by law as the AIS is a 501(c)(3) not-for-profit organization. Contributions to the AIS are made through the AIS Foundation and can be designated to a specific AIS fund of your choice. For full information please go to the following webpage: AIS Donations/The AIS Foundation or use the sidebar navigation at any time. AIS Bulletin Archive. All the AIS Bulletins from the first one issued in 1920 thru 2009 have been scanned and converted to PDFs (Adobe Acrobat Portable Document Format) and placed in an on line library that is now accessible to AIS Emembers through the Emembers page on the AIS website. If you are an Emember, click here to access this new service. If you would like to become and Emember, click here. AIS Electronic Membership: (January 2012) The AIS announces a new membership service - electronic membership. Emembership is separate from the normal AIS membership. Emembers do not receive printed copies of the AIS Bulletins. Instead, they have access to online AIS Bulletins using an easy to use viewer. 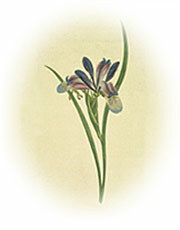 Emembers also have access to online viewing of The Basic Iris Culture booklet and access to irisregister.com, the online database of iris registrations and introductions. Additional services may be made available in the future. Please see the Electronic Membership information area of the website for more details. The newly revised AIS RVP Handbook is now available. This is an Adobe PDF file that can be downloaded/viewed/printed. The AIS is a registered non-profit organization with the Bloomin' Bucks 2011 fundraising program by Brent and Becky's Bulbs! This is how it works: It's simple...supporters of the registered organization, the (AIS) American Iris Society, can go to www.bloominbucks.com and from a pull down menu of all of the organizations registered, select to support the AIS! One click takes you into the Brent and Becky's Bulbs website where you can order whatever you want, in whatever quantity you want...books, bulbs, tools, supplements, gift certificates... anything...and a percentage of each order goes to your organization! Every little bit helps and it all adds up to support the AIS! Please note: This is the only way to earn credit; go to the www.bloominbucks.com website, then selecting to support your organization and placing an on-line order ...so no phone orders, faxed orders, etc..
For more information on this very interesting and useful venture please go to this special area of the AIS website: What is the Iris Encyclopedia? The answers to many questions on iris and the American Iris Society (AIS) are found within the AIS website. Please direct any iris questions you may have to your local area AIS RVP or a local iris club. These people will be pleased to help you. A full listing of these contacts for your area is provided under the AIS Regions listing page on this website ...or follow the link in the sidebar.